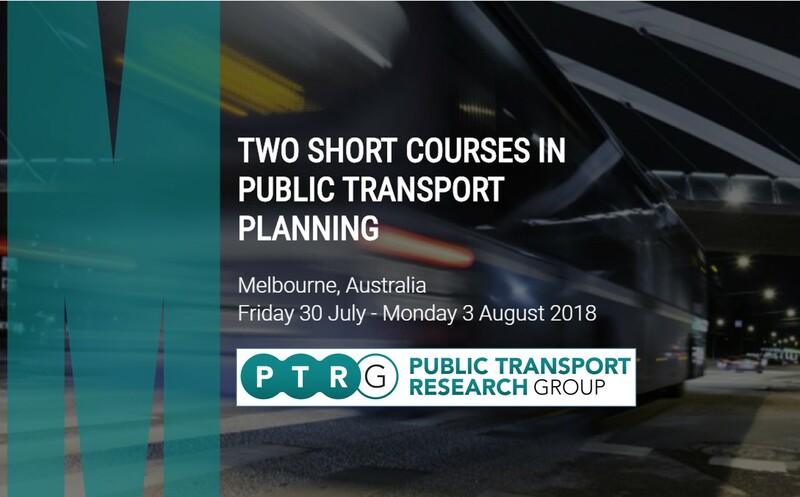 PTRG are offering two short courses in planning public transport services (PPTS) from 30th July to 3rd August. The first PPTS1-2 is a two day course which covers key elemenst of previous courses offerred at Monash. The second is a 3 day course PPTS-EA which has entirely new course material and includes inputs from European researchers from TU Delft in the Netherlands. You can regiuster for one course or both; they are run concurrently over 5 days.